Every once in a while, the subject of ritual blood use is raised among those who study the Old Magicks. Blood and sacrifice were fairly common in both religion and magick until relatively recently in history. I discuss the subject in depth in chapter four of “Secrets of the Magickal Grimoires”, if you want to read about my take on the subject. Today, however, many modern practitioners (especially those of American WASP heritage) have sensibilities that preclude the use of blood in ritual. Perhaps this will change, if our Great Western Civilization eventually collapses and we are again forced to raise and slaughter our own food. But until then, some of us would rather not engage in the practice. We can take heart, though. Even ancient traditions that regularly make use of blood and sacrifice – such as the ATRs (Santeria, Palo, etc), the medieval grimoires and various forms of conjure and folk magick- also include paths and methods that do not require blood. From what I have seen, no one looks down upon those paths nor upon their adherents for their choice. That’s great, because it gives us avenues to explore the Old Magicks without the use of blood, and still learn how to do things right. Drawing from the concepts of omiero and herbal holy waters, we can use a similar method to produce a blood substitute for our own magick. 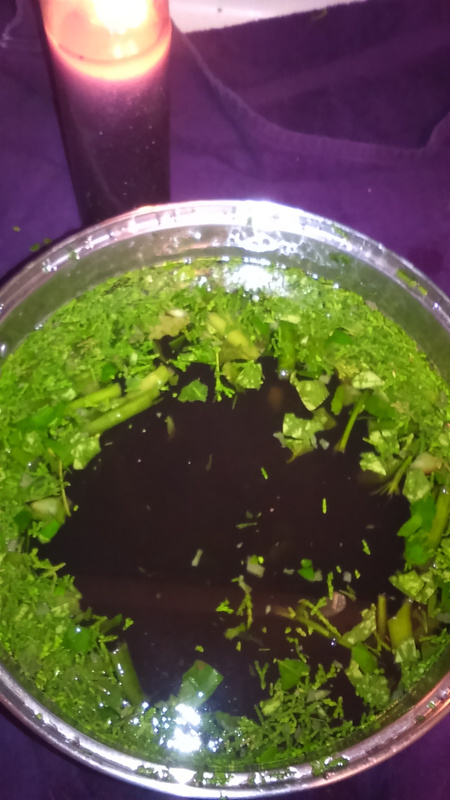 Below, I will outline a method of making a kind of holy water based upon the omiero concept (note: this is not the recipe for true omiero as used in the ATRs), which I have incorporated into a Solomonic framework. NOTE: If you want to see pictures of this process in action, click here. 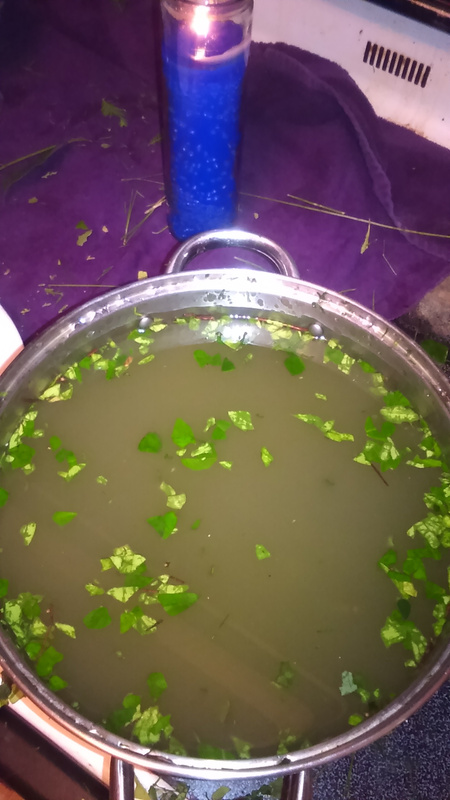 For this you will need Holy Water, the Bible, plants and herbs gathered (as much as possible) locally by hand, and (for this example) a gallon of fresh spring water. Yes, it needs to be fresh water from a spring. 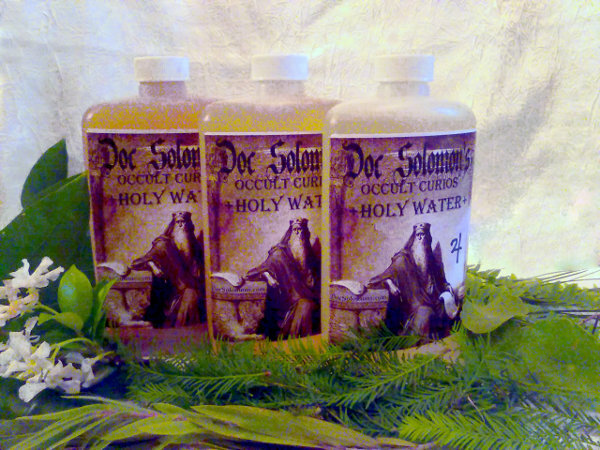 1) First make or obtain a few ounces of Holy Water- either as outlined in the Key of Solomon, or obtained from a Church, etc. In any case you will need about sixteen ounces of lightly salted consecrated water (a bit less is fine), if you are making a gallon of the finished herbal water. Avoid Holy Waters that contain rose or other herbs. 2) Find several Psalms or other Scripture that relate to the Force/Angel/Spirit you are working with. (Try to find a number of Psalms based upon the number sacred to the entity. Six Psalms for solar entities, eight for mercurial, etc.) My primary source for these is always “Use of the Psalms”- often found appended to the “6th and 7th Books of Moses.” Another good source is called the “Book of Gold”, recently published by Avalonia Publishing. Also, don’t hesitate to sit down with an online Bible and search the Psalms and other Scripture for keywords that relate to your needs. 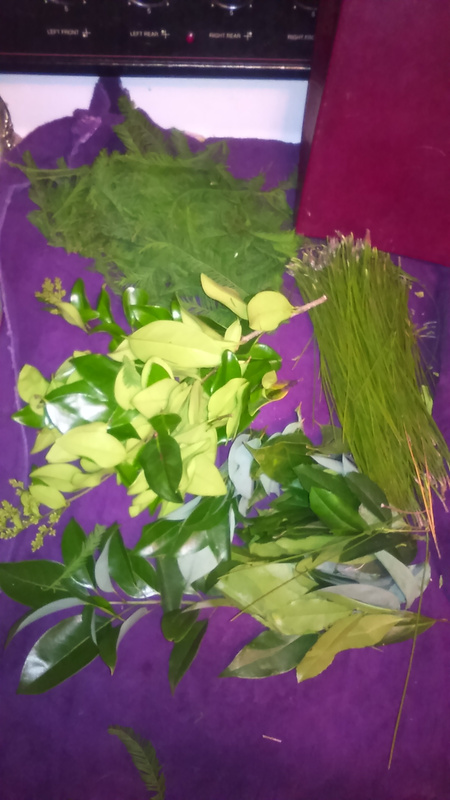 3) Gather some fresh plants that relate to the Force/Angel/Spirit. 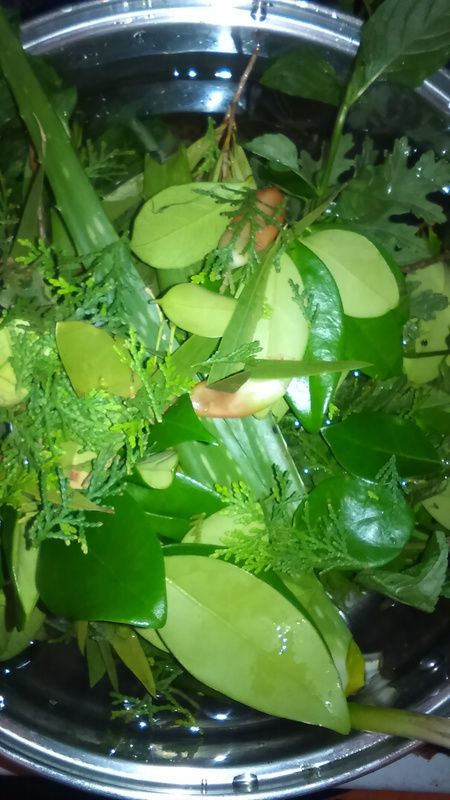 (You don’t want woods or resins or roots – look for leafy green plants!) Scott Cunningham wrote some good source material for this kind of thing. See “Incenses, Oils and Brews.” Again, gather a number of plants based upon the number sacred to the entity in question. 4) Prepare your ritual space, and yourself, as you normally would for magickal work. It is best to perform this work on the proper Day and Hour according to the table of Solomonic hours. 5) During said Hour, put the spring water into a large bowl. 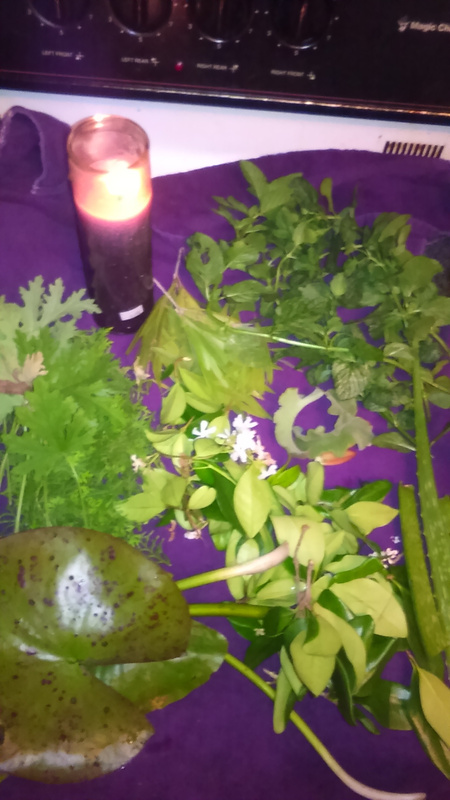 Take some of the plant material in hand, and begin to sing/recite the Psalms as you immerse the plants into the Water and begin to rip and tear at the plant material. For tougher plants, you can make use of a knife to tear the material – use your White-Hilted Knife for this if you have one. 6) Strain out the destroyed plant remnants. Then take the pure Holy Water and make a small prayer of your intent as you add it into the bowl. I like to store this away in refridgeration, since it involves plant material. I use it as needed for sacrifice/offering. You can use it in place of blood anytime it is called for in a spell. You can also use it any time you create a spirit pot – not only as a first offering to the spirit, but also to wash every object you will place into its vessel.